A look at the current state of Journalism and 360 video and best practices for creating compelling stories. 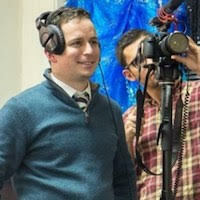 Trained as an on-air broadcast reporter, Josh taught himself cinematography and videography. He now specializes in streaming media and the intersection between cinema and journalism. His passion lies in the future of journalism and the role streaming video, 360 video and social media will play in the profession.